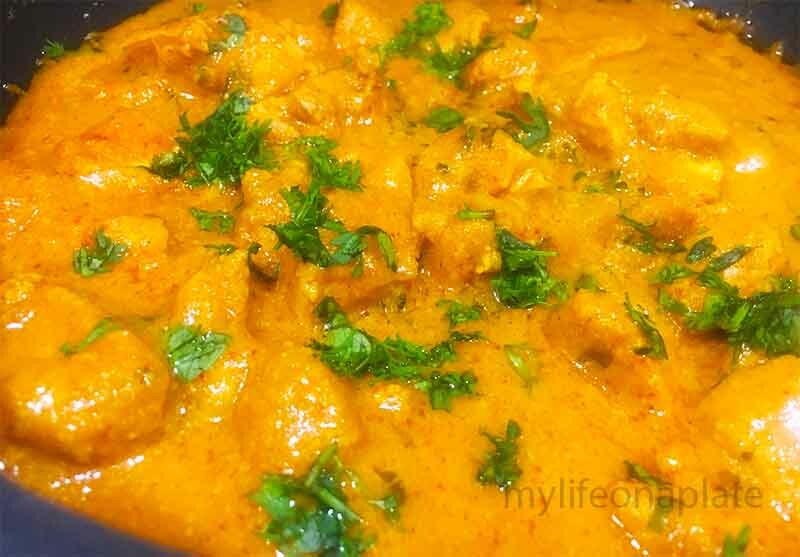 Butter Chicken is easily the most ordered dish when you go to a restaurant, isn’t it? Why not make it at home instead? It’s a sure-fire way to have a hit Sunday lunch or a Saturday night dinner even. 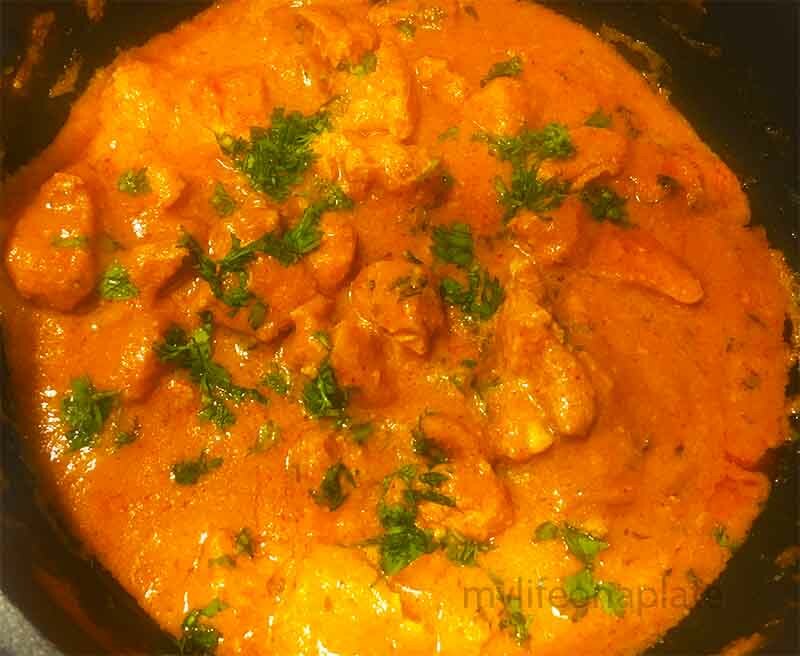 As you can marinate and keep the chicken overnight and make the curry beforehand too… this recipe will save you loads of time if you’re expecting guests and want to have time to sit and chat with them instead of slogging it out in the kitchen. 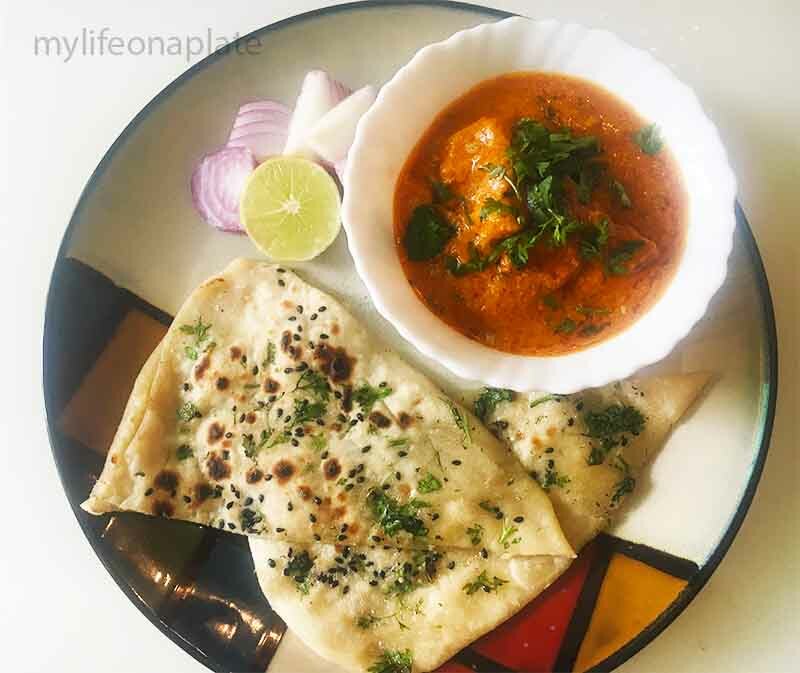 Just throw together this yummy recipe in a jiffy and amaze your guests with the better than Restaurant-style Butter Chicken! Tastes great with Naan, Rotis or Rice. 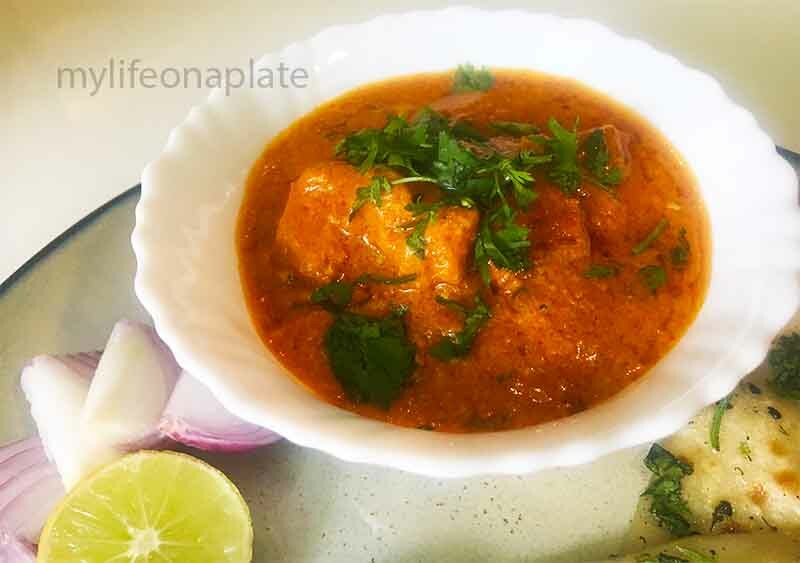 Vegetarians can substitute the chicken with Paneer pieces and have a lip-smacking Paneer Makhani too! For marinating the chicken : Take the boneless chicken pieces in a bowl. Add in 1 tsp each of ginger, garlic and chilli paste. Add a tsp of vinegar and salt to taste. Mix well and keep the marinated chicken in the fridge overnight or at least for 3 hrs. For the Curry: In a pan add a little oil and add in roughly chopped onions, tomatoes, 1 spoon each of ginger and garlic paste and a handful of cashewnuts. Saute well and add in around 2 cups of water. Put in the garam masala and red chilli powder. Cover and cook for at least 15 minutes till the whole mixture is nice and mushy. Run the mixture through a mixie and sieve it. It's necessary to run it through a sieve as it will give the dish the required silky and buttery texture while removing all roughage. 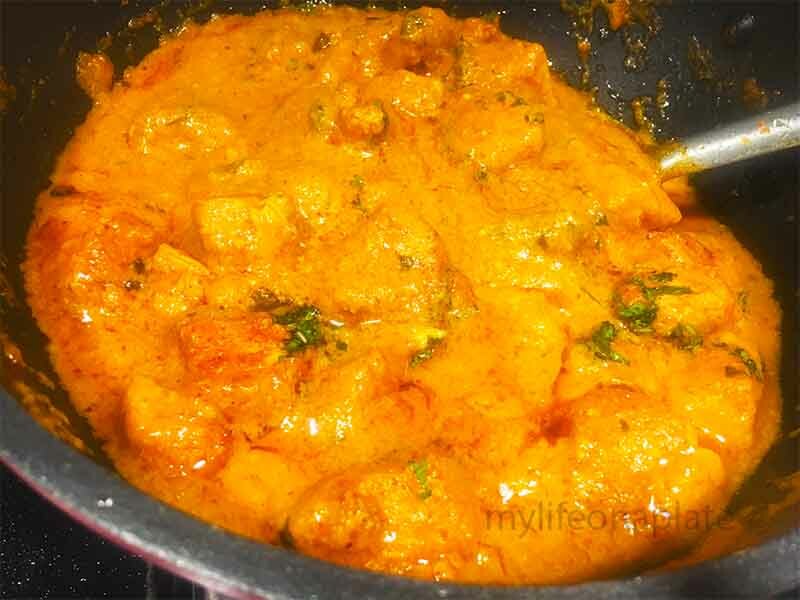 Now add in a spoonful of butter and this smooth curry in a pan. Sprinkle kasuri methi, salt to taste and fresh cream. Our Butter/Makhani curry is ready. Now in a pan add a little oil and saute the chicken pieces till golden brown on both sides. Add the chicken pieces to the ready curry and heat for 2-3 mins. 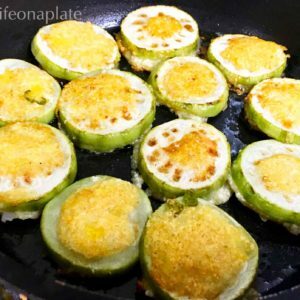 Serve hot with Naan, Roti or Rice! Garnish with coriander leaves and fresh cream drops (optional). 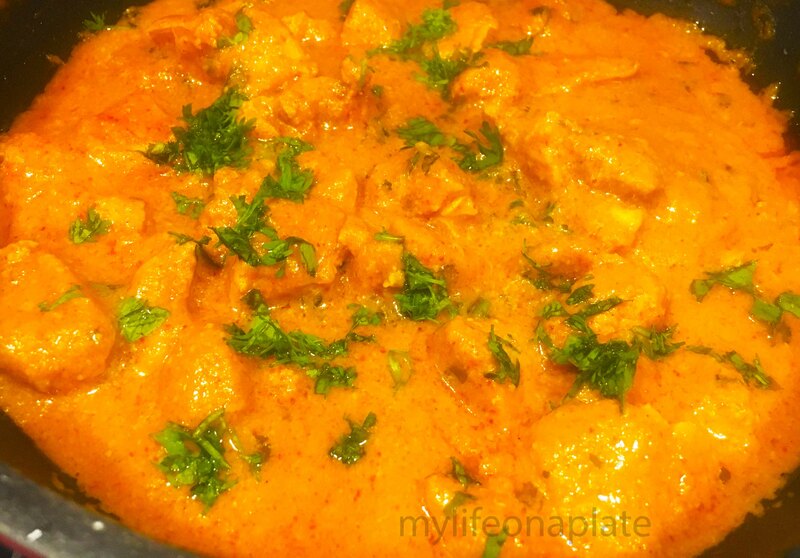 Vegetarians can substitute the chicken with paneer for an equally delicious Paneer Makhani!